Keystone now provides a simple option for transferring inventory between plants. There are many other enhancements and corrections included as well. Click here for the complete Release Notes for Keystone 2.5. One of the other significant improvements to Keystone has been behind the scenes. When Microsoft introduced Windows 7, they greatly improved the security of the operating system. To take advantage of this, Windows applications had to be modified and had to adhere to a strict set of guidelines. With the 2.5 release, Keystone is now fully Windows 7 compliant. 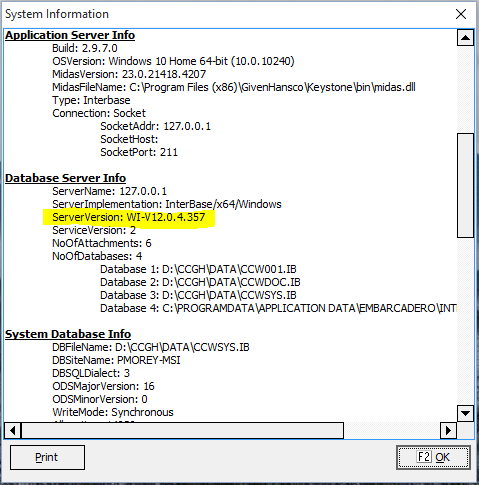 Please click here for the procedure to follow when updating to Keystone 2.5 on Windows 7.